Baby corn pakoda or pakora recipe - Today I have come up with a highly irresistible baby corn pakoda, an absolutely perfect evening snack with a hot cup of tea, coffee, juice or lassi. I made this zestful pakoda with the batter in combination with all purpose flour or maida and corn flour. 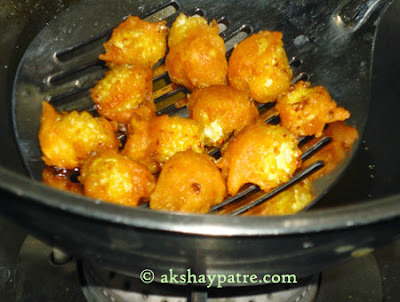 The pakodas prepared in this batter have a distinct taste and unique texture, since pakodas made using corn flour really become more crispy. Chilli powder and lemon juice is also added and the taste is blend with these in pakodas. 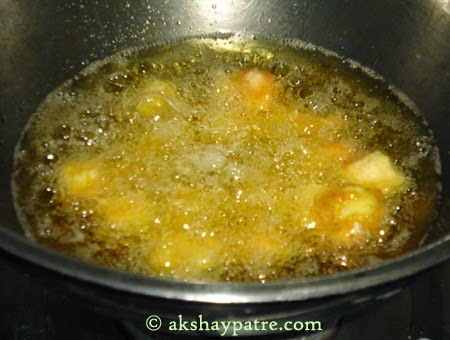 It is very common that evening tea or coffee is often enjoyed with savoruy snacks or fried pakodas. 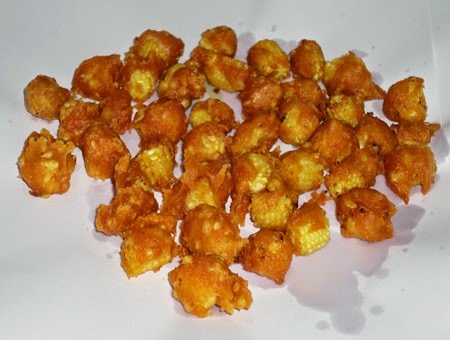 This baby corn pakoda is an ideal snack to relish after school or office. 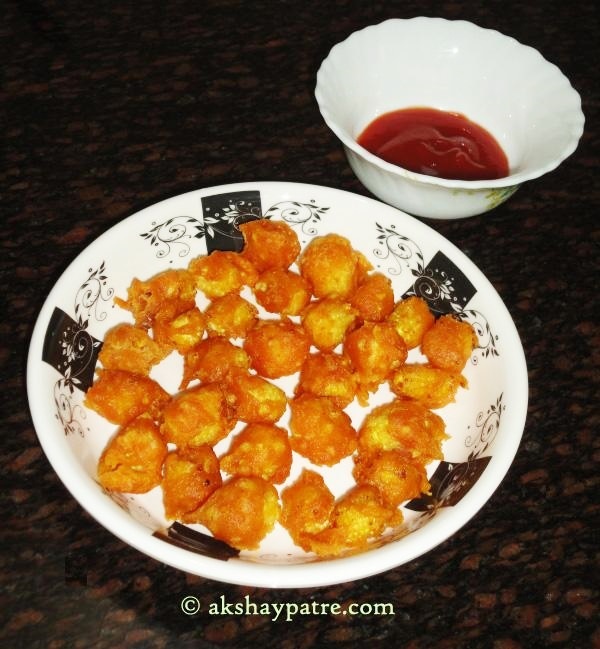 This crunchy baby corn pakoda is a delicious starter and evening snack. Serve this pakora with tomato ketchup or any other dipping sauce of your choice. Wash the baby corns gently and pat dry with a kitchen towel. Chop off both ends and cut the baby corns into medium sized pieces. 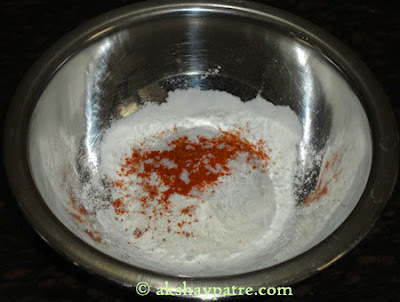 Mix the maida, corn flour, chilli powder and salt together. Add 5 - 6 tbsp of water and make a thick batter. Squeeze the lime in it and mix well. 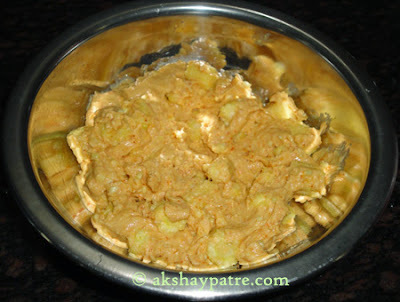 Add the baby corn pieces and combine to coat the batter well with the baby corns. Heat oil in a frying pan. Fry the evenly coated baby corns until golden brown and crisp. Drain with a slotted spoon. Spread the pakodas on an absorbent paper. 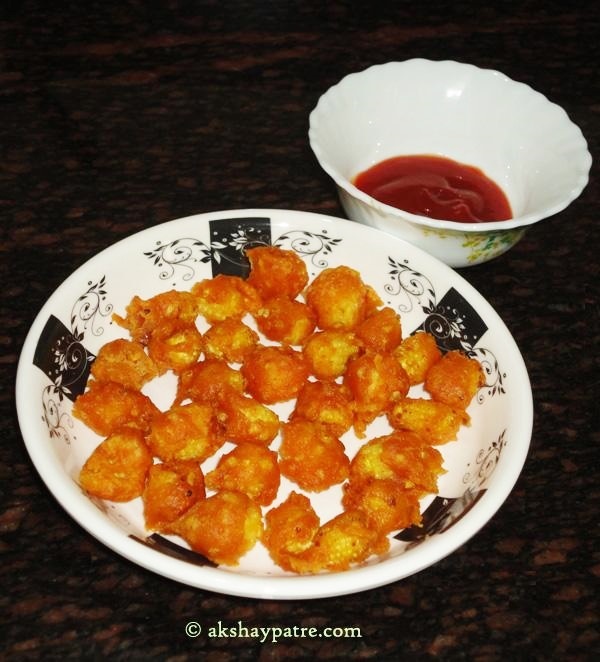 Serve baby corn pakoda hot with tomato ketchup. 1. Wash the baby corns gently and pat dry with a kitchen towel. 2. Chop off both ends and cut the baby corns into medium sized pieces. 3. 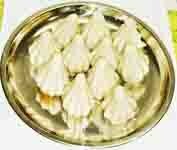 Mix the maida, corn flour, chilli powder and salt together. 4. Add 5 - 6 tbsp of water and make a thick batter. Squeeze the lime in it and mix well. 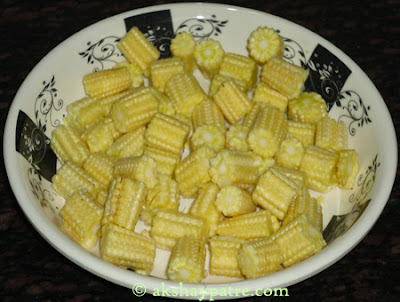 Add the baby corn pieces and combine to coat the batter well with the baby corns. 5. Heat oil in a frying pan. Fry the evenly coated baby corns until golden brown and crisp. 7. Spread the pakodas on an absorbent paper. 8. Serve baby corn pakoda hot with tomato ketchup. They look so crunchy and tasty! 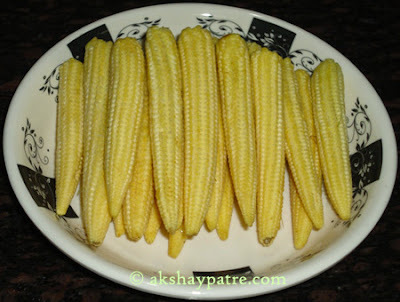 I love babycorn and I love this dish!!! I sadly don't get babycorns in my part of the US. you do have a lovely blog!!! Thank you for visiting my blog writesfood. I would love to visit your blog.